The "Lotus Euro Top" is a low-to-mid priced mattress that possesses a plethora of luxury features. Included in its construction are: LFK Offset Coil Unit (which is both contouring and heavy-duty), foam encasement, a gel lumbar pad and layers of both convoluted and hypersoft foams. The Comfortec line of mattresses by Symbol is a cost-efficient, American made assortment of products that is historically an absolutely great value. The Shelton Euro seems to be no exception to that track record and has a soft, plush feel but suitable support for nearly anyone. Available in both custom and standard sizes, the Lotus Euro Top is a great fit for anyone on a budget who is seeking a high-quality product with a soft sleeping surface. 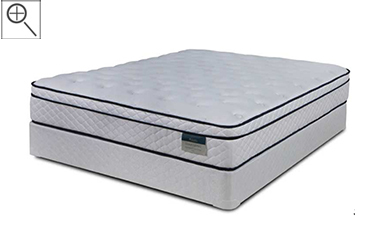 The "Lotus Euro Top w/Gel" is a mid-priced mattress, by the American-Made Symbol Mattress, that contains luxury features and high-quality components. This mattress is a part of Symbol's "Comfortec" line; a highly respected and high-value line made by a long-time producer. The LFK innerspring coil unit provides both body-contouring effects and long-term durability. Five full inches of support and comfort foam separate you from its springs. 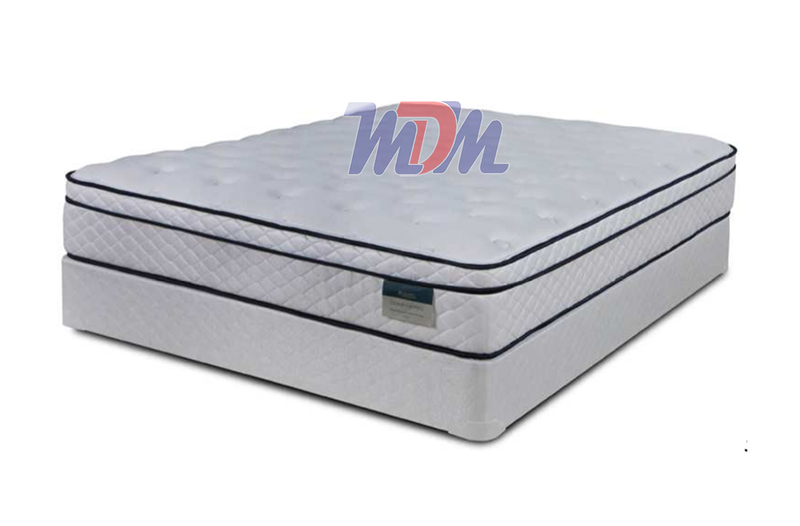 There is a gel lumbar area in the euro top (attached pillow top design) that offers a bit of added support in the area in which you need the most support and flexibility. The dense and strong edge keeps the level of motion transfer and bounce effect down; all of these parts coming together to offer you a soft - though supportive - sleeping surface. 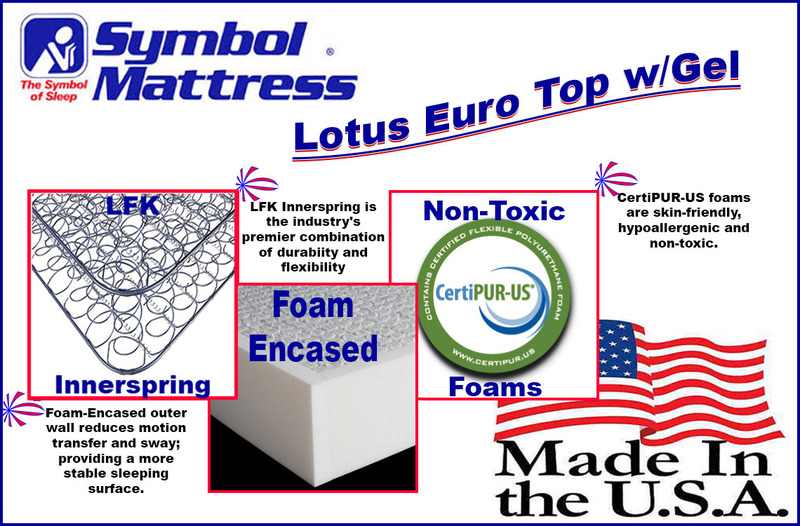 As with all Symbol Mattresses, the Lotus Euro Top w/Gel is completely made in the United States. It is produced in Wisconsin and can be shipped (custom size or standard) to the contiguous United States.